Trademark Blud is a rapper from the Midlands, UK who has been working hard and perfecting his craft for the last few years. Last year he dropped an underground mixtape ‘Tricks Of The Trade’ with UK Runnings, the UK’s longest running mixtape series. This brought him to attention of Platformz Music and Chicago producer Rediculus who immediately gave him a selection of beats to work on. 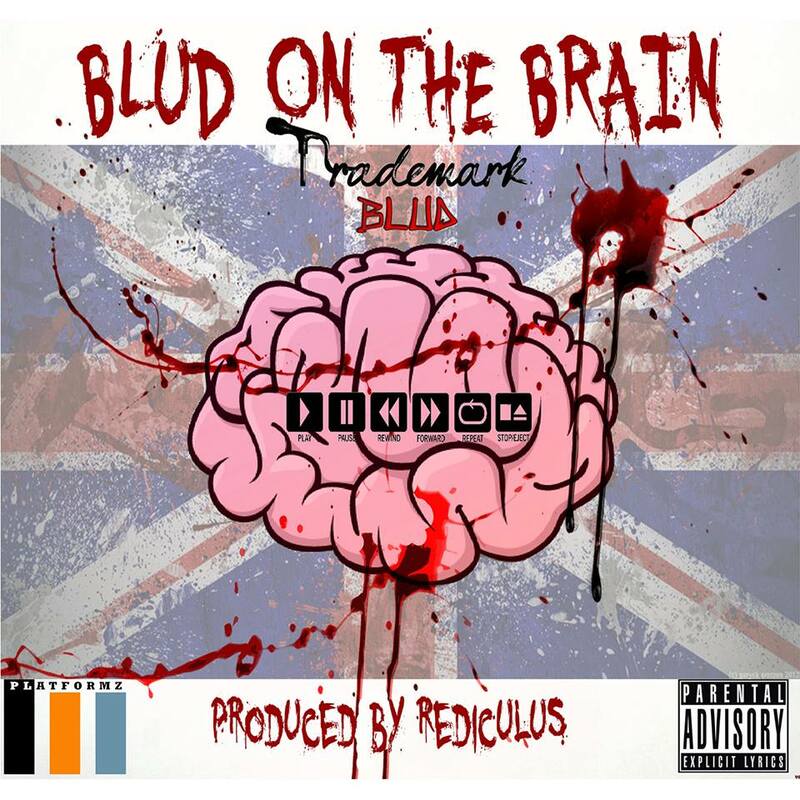 Six months later and the outcome is this solid eight track free download EP entitled ‘Blud On The Brain’ which has no guest appearances and is entirely produced by Rediculus. Touching on various subjects and topics, this timeless piece of work is without a doubt Trademark Blud’s best work to date and it’s a release that is destined to put him on the global underground Hip-Hop map. 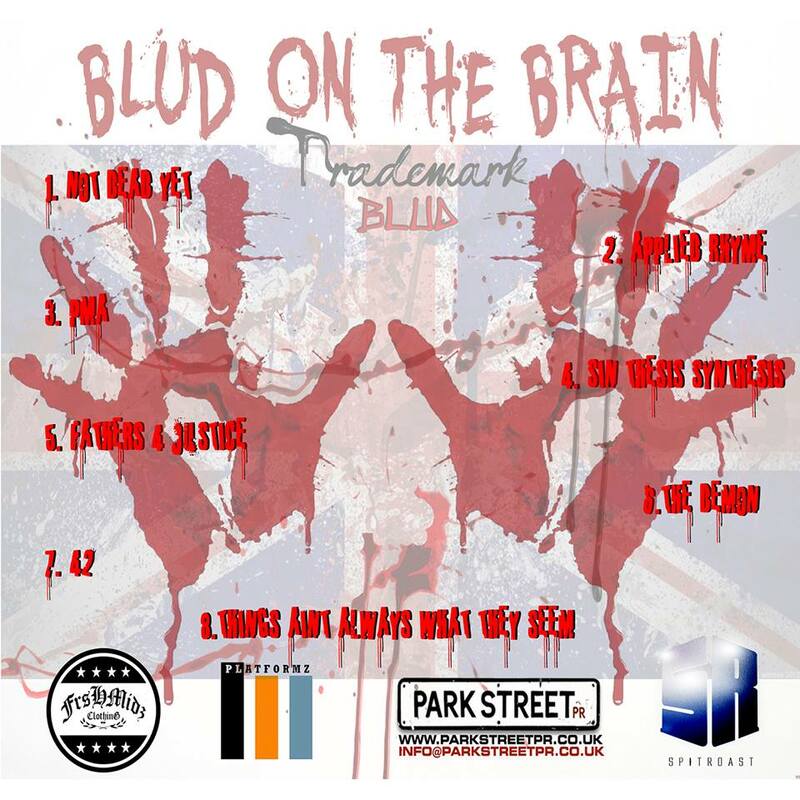 Trademark Blud is a talented wordsmith that is making big waves playing live all over the UK sharing stages with the likes of Skinnyman, Mystro, Micall Parknsun, as well as playing at this year’s Boom Bap Festival with acts such as Your Old Droog, The Four Owls, Jeru The Damaja, Earl Sweatshirt and many more. As a battle rapper he has featured on Don’t Flop and Spitroast Battles, as well as doing numerous freestyle performances for channels such as Fliplife TV, Titan TV, Big Fingz and many others. With a string of music videos planned to drop and a support slot on the Bronze Nazareth European Tour, things are about to get serious. Everyone’s got Blud On The Brain.